This potent eye serum combines two powerful anti-aging ingredients to soften and smooth overall appearance of fine lines and wrinkles while brightening the eye area, providing a more youthful, healthy appearance. Ferulic Acid and Retinol immediately reduce signs of aging and sun damage, licorice root extract lightens and de-puffs the undereye area, and caffeine firms and tightens crepey skin. The non-irritating gel-serum formula absorbs quickly to treat all skin types, allowing smoother makeup application that lasts longer. Water (Aqua), Ethoxydiglycol, Propylene Glycol, Centella Asiatica Extract, Glycyrrhiza Glabra (Licorice) Root Extract, Ferulic Acid, Retinol, Potassium Azeloyl Diglycinate, Arctostaphylos Uva Ursi Leaf Extract, Arbutin, Morus Alba Leaf Extract, Salix Alba (Willow) Bark Extract, Quercetin, Caffeine, Ubiquinone, Sodium Hyaluronate, Salicylic Acid, Glycolic Acid, Mandelic Acid, Panthenol, Butylene Glycol, Glycerin, Disodium Lauriminodipropionate Tocopheryl Phosphates, Phospholipids, Tetrapeptide-21, Acrylates/Carbamate Copolymer, Disodium EDTA, PVM/MA Decadiene Crosspolymer, Urea, Polysorbate 20, Potassium Hydroxide, Phenoxyethanol, Iron Oxides (CI 77491, CI 77492, CI 77499). 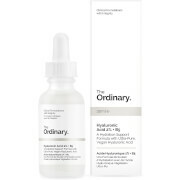 I'm not sure if it's the retinol or just the formula, but this is an amazing eye cream. I changed from Skinmedica because, for whatever reason, it just wasn't giving me great results anymore. The results from the Feurilic Plus were almost instant. The lines are almost non-existent, puffiness is gone and, in general, everything just looks rested and clear. I have very sensitive skin, most eye creams make my eyes burn and my cheeks sting. I have absolutely no issues using this. This is an all around amazing eye product! I love this eye serum! 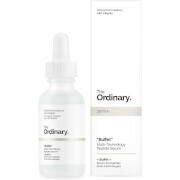 This is the first ferulic acid serum that my face can tolerate. Even tough it is meant for the eyes, I use it all over my face since it is gentle and my skin is super sensitive. Does not sting or cause my face to turn red and irritated.